What exactly are the differences between people with chronic sinusitis and those who are healthy and don't get sinusitis? I've written many times about the Abreu et al 2012 study that found that not only do chronic sinusitis sufferers lack L. sakei, they have too much of Corynebacterium tuberculostearicum (normally a harmless skin bacteria), and they also don't have the bacteria diversity in their sinuses that healthy people without sinusitis have. In other words, the sinus microbiome (microbial community) is out of whack (dysbiosis). A number of studies found that there is a depletion of some bacterial species, and an increase in "abundance" of other species in those with chronic sinusitis. Now a new analysis of 11 recent studies comparing people with chronic sinusitis to healthy people adds some additional information. Once again a conclusion was that those with sinusitis had "dysbiosis" (microbial communities out of whack) in their sinus microbiomes when compared to healthy people. And that an increased "abundance" of members of the genus Corynebacterium in the sinuses was associated with chronic sinusitis (studies so far point to C. tuberculostearicum and C. accolens). Nothing new there... But what was new was that they found that bacteria of the genus Burkholderia and Propionibacterium seem to be "gatekeepers", whose presence may be important in maintaining a stable and healthy bacterial community in the sinuses. And that in chronic sinusitis the bacterial network of healthy communities is "fragmented". In other words, when a person is healthy, the community of microbes in the sinuses may provide a protective effect, and if the gatekeepers are removed (e.g., during illnesses or after taking antibiotics), then a "cycle of dysbiosis and inflammation" may begin. PLEASE NOTE: Genus is a taxonomic category ranking used in biological classification that is below a family and above a species level. For example, Lactobacillus is the genus and sakei is the species. Also, the researchers discussed "gatekeepers" as being important for sinus health, while Susan Lynch discusses the importance of "keystone species" for sinus health. OK... so which species of Burkholderia and Propionibacterium bacteria are found in the healthy microbiome? Unfortunately that was not answered in this study. And of course this needs to be tested further to see if the addition of the missing species of Burkholderia and Propionibacterium bacteria to the sinus microbiome will treat chronic sinusitis. Or perhaps other bacteria such as L. sakei and someother still unknown bacteria also need to be added to the mix. Both Burkholderia and Propionibacterium have many species, but I have not seen any in probiotics. Species of Propionibacteria can be found all over the body and are generally nonpathogenic. However, P. acnes can cause the common skin condition acne as well as other infections. One species - Propionibacterium freudenreichii (or P. shermanii) - is found in Swiss type cheeses such as Emmental, Jarlsberg, and Leerdammer. 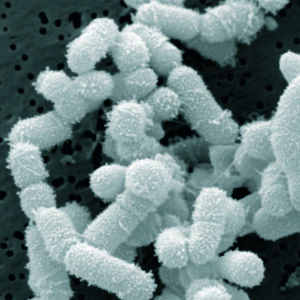 Propionibacteria species are commonly found in milk and dairy products, though they have also been extracted from soil. There are many Burkholderia species, with a number of them causing illness (e.g., B. mallei and B. pseudomallei), but also beneficial species, such as those involved with plant growth and health. Burkholderia species are found all over, in the soil, in plants, soil, water (including marine water), rhizosphere, animals and humans. At this point it is unclear to me which are the species found in healthy sinuses. But it is clear that while L. sakei works to treat chronic sinusitis in many people, the fact that L. sakei typically has to be used after each illness (cold, sore throat, etc,) means that the sinus microbiome may still be missing microbial species or that there is still some sort of "imbalance" (even though the person may feel totally healthy). The researchers noted that a variety of fungi and viruses are also part of a normal sinus microbiome, but they weren't discussed in the article. As you can see, much is still unknown. Stay tuned..,.. This was a very technical article - thus not easy to read. Keep in mind that the information about the conclusions about the bacteria species in the sinuses was from studies that used modern genetic sequencing data (16S rRNA sequence data) to determine what bacteria are in the sinuses. (These are called "culture independent technologies" and much, much better than using cultures in determining species of bacteria.) This way they could analyze differences in "sinonasal bacterial community composition" and see differences between healthy people and persons with CRS (chronic rhinosinusitis). Chronic rhinosinusitis (CRS) is a common, debilitating condition characterized by long-term inflammation of the nasal cavity and paranasal sinuses. The role of the sinonasal bacteria in CRS is unclear. We conducted a meta-analysis combining and reanalysing published bacterial 16S rRNA sequence data to explore differences in sinonasal bacterial community composition and predicted function between healthy and CRS affected subjects. The results identify the most abundant bacteria across all subjects as Staphylococcus, Propionibacterium, Corynebacterium, Streptococcus and an unclassified lineage of Actinobacteria. The meta-analysis results suggest that the bacterial community associated with CRS patients is dysbiotic and ecological networks fostering healthy communities are fragmented. Increased dispersion of bacterial communities, significantly lower bacterial diversity, and increased abundance of members of the genus Corynebacterium are associated with CRS. Increased relative abundance and diversity of other members belonging to the phylum Actinobacteria and members from the genera Propionibacterium differentiated healthy sinuses from those that were chronically inflamed. Removal of Burkholderia and Propionibacterium phylotypes from the healthy community dataset was correlated with a significant increase in network fragmentation. This meta-analysis highlights the potential importance of the genera Burkholderia and Propionibacterium as gatekeepers, whose presence may be important in maintaining a stable sinonasal bacterial community. The high density and diversity of host-associated microbial communities present in different body sites supports a near infinite number of potential host to microbe, and microbe to microbe interactions. A stable network of microbial interactions, established through processes such as niche competition, nutrient cycling, immune evasion, and biofilm formation help maintain homeostasis during health (Walter and Ley, 2011; Grice et al., 2009). Taxa that hold together the bacterial community by interacting with different parts of the network can be considered “gatekeepers” (sensu Freeman, 1980; Widder et al., 2014). During health, a consortium of microbes may provide a protective effect, and a breakdown in these networks due to the removal of gatekeepers may begin a self-perpetuating cycle of dysbiosis and inflammation (Vujkovic-Cvijin et al., 2013; Widder et al., 2014; Byrd and Segre, 2016). The genus-level phylotype Corynebacterium was again associated with CRS bacterial communities, and Burkholderia was associated with healthy subjects. In contrast to the variety of Actinobacteria and Betaproteobacteria phylotypes differentiating the healthy sinonasal bacterial communities, only one phylotype (Corynebacterium) was consistently associated with those individuals that were chronically inflamed. The significance of specific members of the genus Corynebacterium in CRS microbial communities is supported by findings in two previous studies (Abreu et al., 2012; Aurora et al., 2013). The relative abundance of C. tuberculostearicum and C. accolens was significantly higher in subjects with CRS in two recent 16S rRNA studies (Abreu et al., 2012 and Aurora et al., 2013, respectively). Previous article:Is It Really Asthma Or Not?